A word at the start: Be carefull, don't use spaces in the project name! 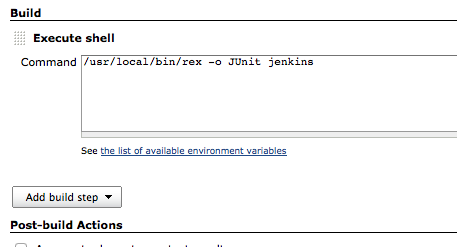 Start your Browser and point it to your Jenkins installation. Create a new "Free Style" Project. Now add a new build step and select "Execute Shell". Paste the following command to the text field. And advise Jenkins to publish the JUnit test prove created. 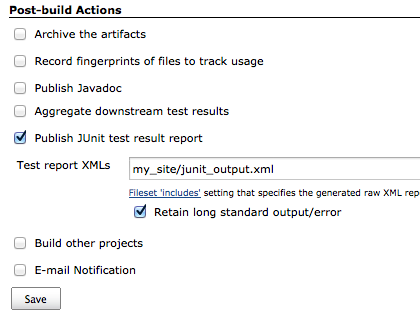 Check "Publish JUnit test result report" in the Post-build Actions section. And check "Retain long standard output/error", too. Put the following line into the textfield. 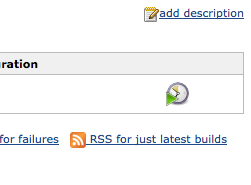 Now you can schedule a test build by clicking on the "Schedule a build" button. 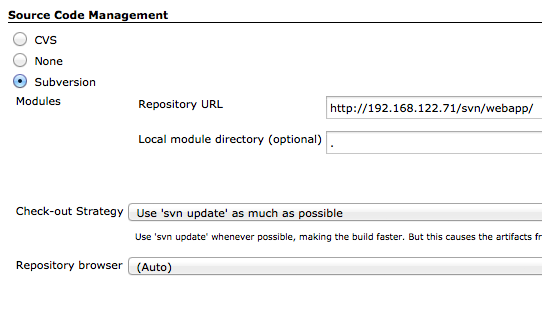 If you refresh the Jenkins page after a few seconds, you will have a successfull testbuild. Okay, now we need to create a Job to deploy our application on our Webservers. Go to the Jenkins start page and select "new Job". And, as before, choose the "Free Style" project. Use the same options as before (but use an other Job name). Select "Execute shell" in the "Build" Section and use the following command. If you've used the packages installing rex, you have to use the following command. 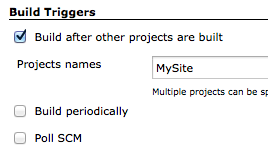 You alse need to check "Build after other projects are built" in "Build Triggers" section. This will guarantee that the Deploy Job will be started on a successfull build. 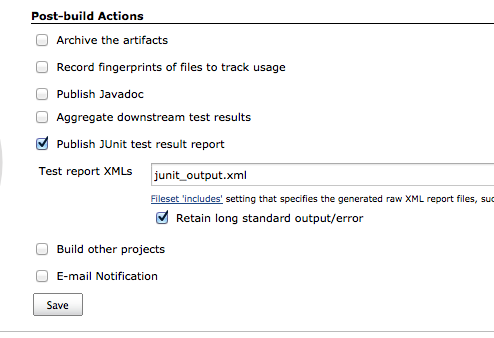 Check "Publish JUnit test result report" and this time use the filename "junit_output.xml". Now go back to your project and create a Rexfile in the top of it. # configure 2 webservers. You just want to use one here. # can create the right deploy package. # generate the right directory to extract the deploy package. # create dependencies on the tasks "test" and "reload"
Commit the Rexfile to the repository. After you created your Rexfile, login to your CI server and install subversion. On your Webserver, we will use the build-in webserver of Mojolicious. So install Mojolicious on the Webserver. sudo sh -c "curl -L cpanmin.us | perl - Mojolicious"
Create the directories /var/deploy and /var/www. The first is the directory where all the deployments will be placed, the latter is the directory where your Webapp will run. Rex will create symlinks from your DocumentRoot pointing to the version currently live. So it is easy to rollback to older versions if needed. 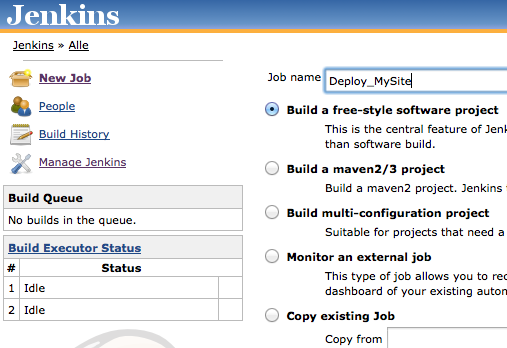 Now your're ready to start the deploy job in jenkins. After running the job (without failures), you can point your browser to http://your-web-server/ and the Mojolicious default 404 site should pop up. Well, after we have set up everything, lets just add an index page to our Mojolicious Application. To do so, open the file lib/MySite.pm and add a new route. Save the file and create a new file lib/MySite/Root.pm and paste the following content into it. And create the file templates/root/index.html.ep. Save the file and add it to version control. 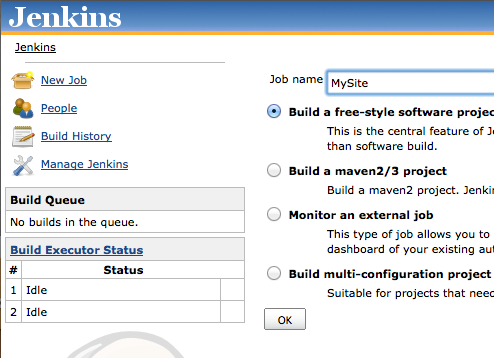 And now, start the MySite Jenkins job. As you see, if you reload your browser after the jobs ran, the new page is deployed. Now it's up to you to improve these basic steps. For example add some commit- check scripts to validate coding standards before the commit is accepted by subversion. Or, to prohibit new code from being checked in if a build fails. The last one is, imho, a very usefull and important thing to get a first feedback loop and to fix builds fast. Before you try to deploy to your livesystems, build some testsytems and add another Job to Jenkins to deploy to the testsystem first. And on success to the live systems. You can use Rex Environments to archive this easily.